Is Oldham Coliseum Theatre really haunted? 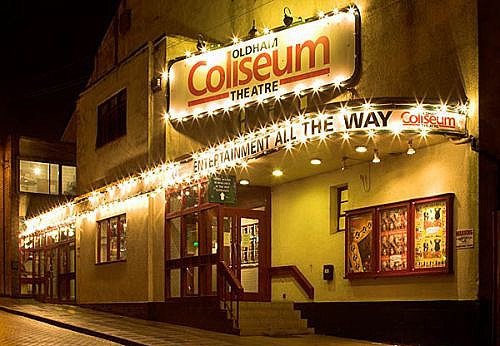 Oldham Coliseum Theatre is located in Oldham, Greater Manchester and dates back to 1885. A man named Mr Myers contracted a local carpenter (Thomas Whittaker) to build a Grand American Theatre but unfortunately Mr Myers found himself a little short on cash and unable to pay for the completion of the theatre and - following a court case - Thomas Whittaker had his own theatre! Many famous past-performers have graced the stage; Charlie Chaplin, Minnie Driver, William Roache, Dame Thora Hird and Ralph Fiennes to name but a few. The ghost of Harold Norman is said to haunt the circle area, watching over other peoples performances. In 1973 Carl Paulsen who had worked at the theatre for 14 years, died aged 47. An apparition of a man resembling him has been seen in the wardrobes department with startling frequency ever since. Sue Evans, who is the press and marketing manager at the Coliseum, says: “A number of members of staff over the years have reported unexplained happenings around the building - doors banging and items falling on them when there is no one else around..."